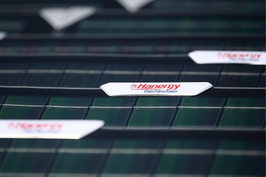 Solar energy conglomerate Hanergy Holding Group is moving to cut nearly half its workforce by the end of this year, shortly after it unveiled a $7 billion plan to take its Hong Kong-listed unit private. The terminations started this week, sources close to the company told Caixin. On its official website, Hanergy reports 15,000 employees. In addition to the job cuts, employees in sales and other departments face salary reductions, the sources said. 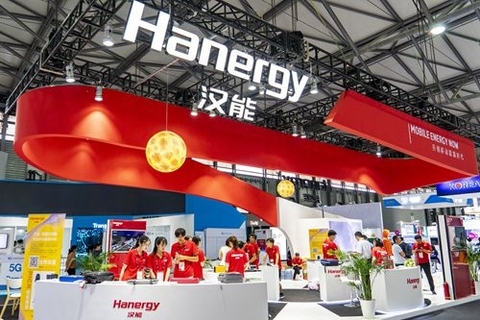 The job-cutting plan reflects Hanergy’s financial strain as regulatory scrutiny of its heavy reliance on connected-party transactions resulted in a trading freeze of more than three years for the Hong Kong-traded shares of its Hanergy Thin Film Power Group Ltd. unit. Last week, Hanergy’s unit Hanergy Mobile Energy Holding Group Ltd. proposed to pay no less than HK$5 for each of the frozen shares of Hanergy Thin Film in a deal that could amount HK$55 billion ($7 billion). 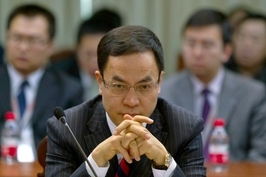 Hanergy’s billionaire founder Li Hejun told media that Hanergy Thin Film may be relisted on the mainland after privatization. The Hong Kong unit is 73.96% controlled by Hanergy Mobile and other Hanergy affiliates that are ultimately backed by Li. Hanergy Thin Film risks delisting in Hong Kong if it fails to get regulatory approval to resume trading next year under the bourse’s revised listing rules. The proposed share buyout raised the question of where the money would come from, as Hanergy and its units are plagued by scandals related to exaggerated sales and heavy debts. Several Hanergy employees told Caixin that founder Li issued an internal notice of a restructuring plan in late October. A number of mid-level managers have been told to resign. Established in 1994 as a hydropower producer, Hanergy shifted its business focus to solar energy in 2009 and quickly expanded to the entire industrial chain. More than 70% of Hanergy Thin Film’s revenue came from solar panel manufacturing equipment, mainly sold to industrial parks controlled by affiliated companies. The complexes of factories supposedly produced solar panels or other energy products. Hanergy Thin Film was almost the sole customer of products produced by those parks, Caixin has learned. By pushing forward construction of industrial parks, backed mainly by loans from banks and local governments, Hanergy raised the Hong Kong unit's revenue by nearly fourfold between 2012 and 2014, from HK$2.8 billion to HK$9.60 billion. But the increase mostly reflected accounts receivable with affiliated firms. Such a business model sparked doubts that led to a crash of its Hong Kong shares in May 2015, which wiped out almost half of the company’s value in one morning. Hanergy Thin Film’s stock has since remained suspended as Hong Kong regulators investigate. Despite the trading halt and debt concerns, Hanergy has engaged in a new round of expansion since late 2016 with plans to build new solar energy industrial parks or expand existing facilities in 30 cities and provinces. According to several Hanergy sources, Li said in December 2016 that he planned to expand Hanergy’s staff to more than 25,000 in two years. At that time, Li set ambitious goals for Hanergy to post 200 billion yuan of revenue and 40 billion yuan of profit by the end of 2019, with a market capitalization exceeding $1 trillion by 2022. But many of Hanergy’s industrial park projects have proceeded slowly or even been suspended, company staff said. Employees at some projects have returned to Beijing awaiting further work arrangement or layoff, they said.